227 grams organic vegan friendly Equal Exchange Decaffeinated Whole Bean Coffee made using fairly traded ingredients. About the Suppliers: The trade developement partners of Equal Exchange empower farmers and their communities to realise their ambitions and dreams through long-term relationships. Farmers value trust. Partnerships based on trust and solidarity are providing: training and market information guarenteed prices advance payments improved selection and quality control. Equal Exchange compromise on principle and you won't be compromised on taste. This coffee is now part of the ‘Grown by Women’ range from Equal Exchange and is sourced exclusively from women cooperatives. 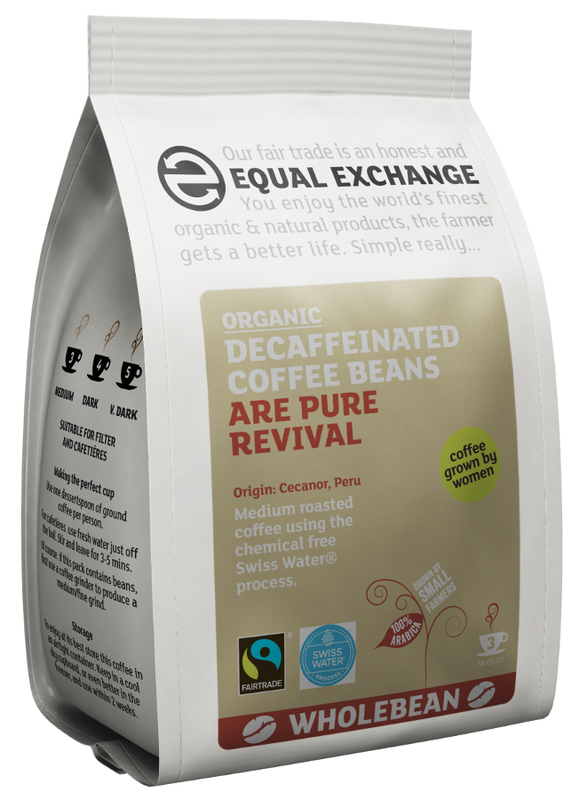 The Equal Exchange Organic Decaffeinated Coffee Whole Beans - 227g product ethics are indicated below. To learn more about these product ethics and to see related products, follow the links below. 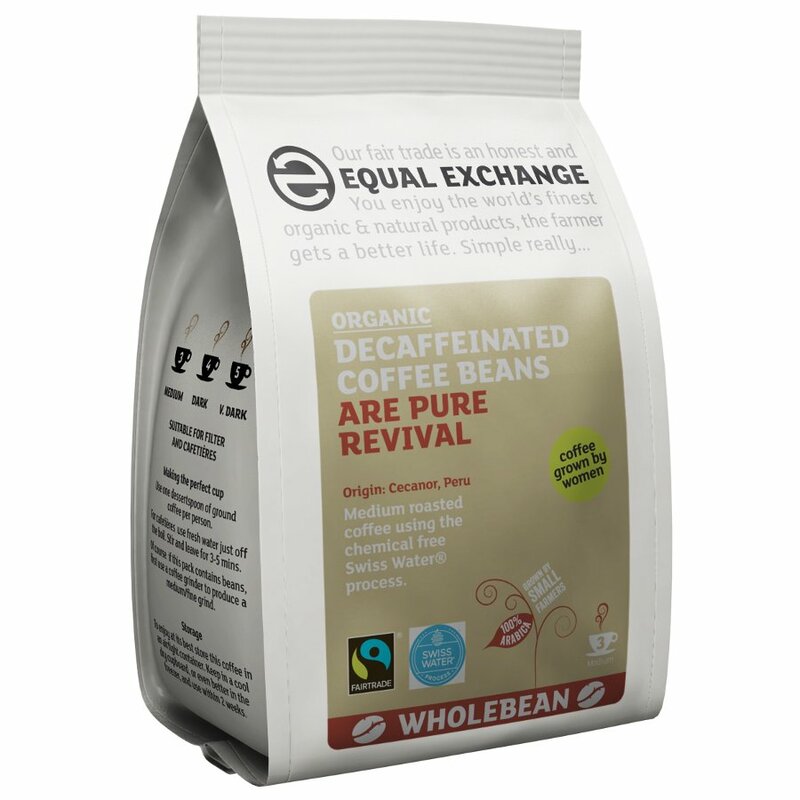 There are currently no questions to display about Equal Exchange Organic Decaffeinated Coffee Whole Beans - 227g.